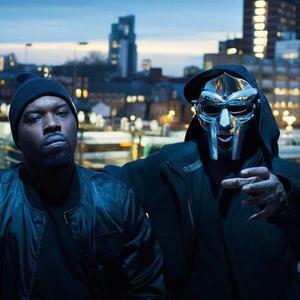 JJ DOOM is a collaboration between producer Jneiro Jarel and the masked hip-hop artist MF DOOM. Their debut collaborative album, titled KEY TO THE KUFFS, is scheduled to be released on August 21, 2012 via Lex Records. Key to the Kuffs features guest appearances from Beth Gibbons (of Portishead), Damon Albarn (of Blur/Gorillaz), Boston Fielder, and Jneiro Jarel's fellow partner from the duo Willie Isz, Khujo Goodie (of Goodie Mob).